Disclosure: I received a free bottle of Pompeian Grapeseed Oil to test. All thoughts and opinions are my own. Cooking spray is one of my must-haves in the kitchen. I use it almost daily for a variety of tasks in the kitchen from cooking eggs, greasing baking dishes to a quick spritz on a measuring spoon before measuring out sticky ingredients like honey or peanut butter (great tip if you’ve never tried it!). I generally choose an olive oil or canola oil spray. However, I was very excited to be introduced to another option, Grapeseed Oil! Grapeseed Oil is made from wine grapes and the Pompeian brand imports theirs from France. It really is light in flavor so it doesn’t affect the taste of the food. Also, it has a high smoke point so it can be used in a variety of applications from stir frying to grilling and baking. I’ve tried them all and been happy with the results. One of the greatest things about this spray, though, is the bottle! There are no propellants used and I love the way it sprays. It sprays evenly and can be controlled in short or long bursts, depending upon your needs. And the nozzle is ergonomically designed with ridges for a good grip so your finger doesn’t slip off while spraying. Want to try if for yourself? Go here to receive a coupon for Pompeian Grapeseed Oil. A few years ago, I was looking for a different side dish for our Christmas dinner. 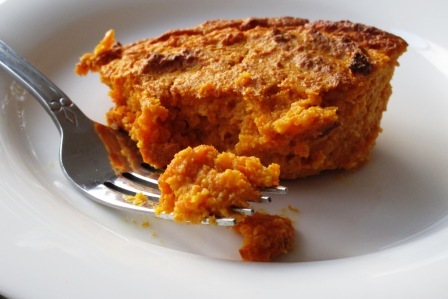 I was perusing one of my cookbooks, Cooking in the South with Johnnie Gabriel, who is a good friend and loved the idea of her Roasted Carrot Souffle. Whenever I try a recipe for the first time, I like to follow the recipe as closely as possible and then see about tweaking it. However, I just could never bring myself to add as much sugar or butter as the original recipe used. 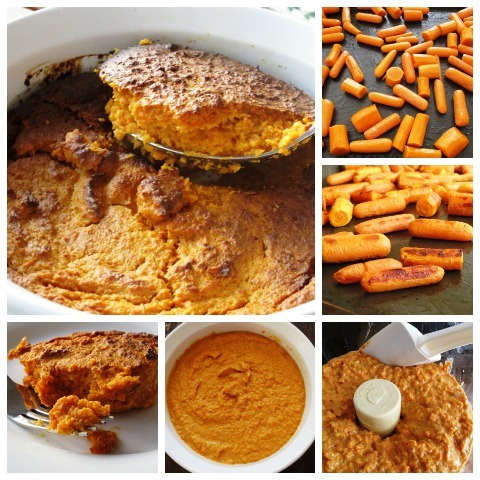 It is a wonderful recipe though and even family members who don’t like carrots have all loved it. My mother-in-law thought it was made with sweet potatoes rather than carrots. I have been playing with the recipe ever since and finally perfected it! It has just enough sweetness, enhanced by the cinnamon, to make even non-veggie lovers finish their helping. A pinch of nutmeg would probably be great too and maybe a sprinkle of salt if you need it (I don’t). This is a wonderful side dish for a holiday potluck or any occasion! Spray a baking pan with grapeseed oil spray. Place carrots in pan, toss with maple syrup. 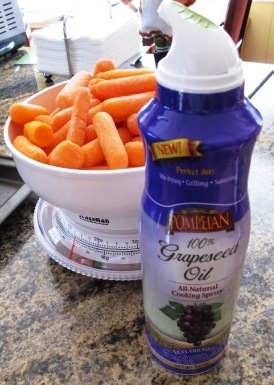 Spray some grapeseed oil spray on the carrots and place in oven. Roast for 10-15 minutes until soft, stirring occasionally to prevent burning. Remove carrots from oven and turn oven temperature down to 350 degrees F.
Place the carrots and all of the remaining ingredients in a food processor. Process until smooth. Pour into a greased 1½ quart baking dish.